Today on EW's Shelf Life, the cover for Gayle Forman's new book, Just One Day, was revealed--along with an excerpt! Just One Day will be out in January, and I have to say--I am loving the cover! I love the reflections, the way the image fades to white, the slight blurriness. It's very modern and pretty and thoughtful. What do you think? 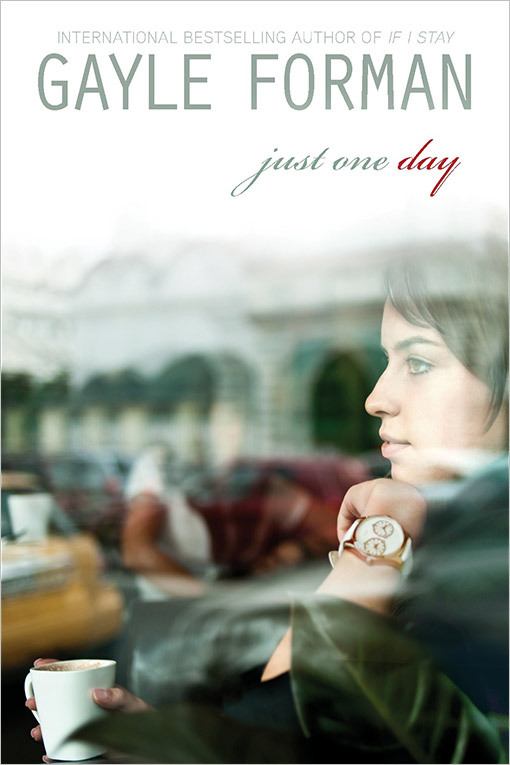 Just One Day is the first in a sweepingly romantic duet of novels. Willem’s story—Just One Year—is coming soon!" I am excited! And to check out the excerpt, head on over to Shelf Life! I didn't know the cover was out! I really like it and can't wait to read it. For some reason, though, I don't remember the synopsis being that...Huh. lol.